LEGO Fan and flickr.com member alego alego created a MOC named Maison d'Ordralfabétix which has a huge pile of banana parts in it. 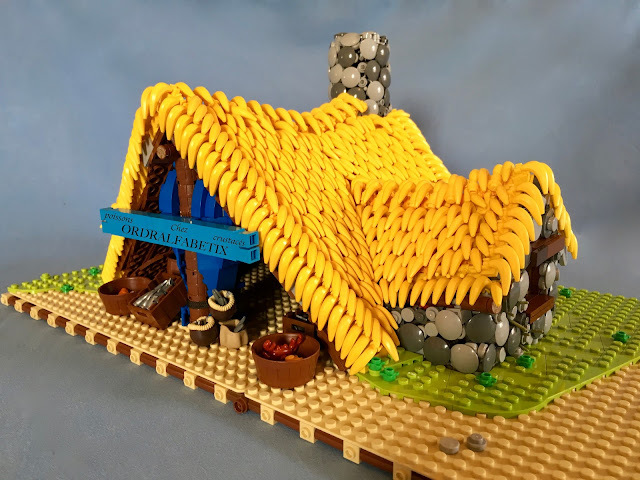 alego tile his creation's roof with banana pieces. Not only banana roof technique is brillant but also his different wall technique with gray reversed tile pieces is successful. Banana roof really seems it builded by hays.